The last few months have seen a steady push of the “beheading meme”. From the murder of Lee Rigby last year to the ongoing video taped executions by ISIS/ISIL, the gruesome form of murder is being drilled into the public’s psyche as a powerful fear tactic. 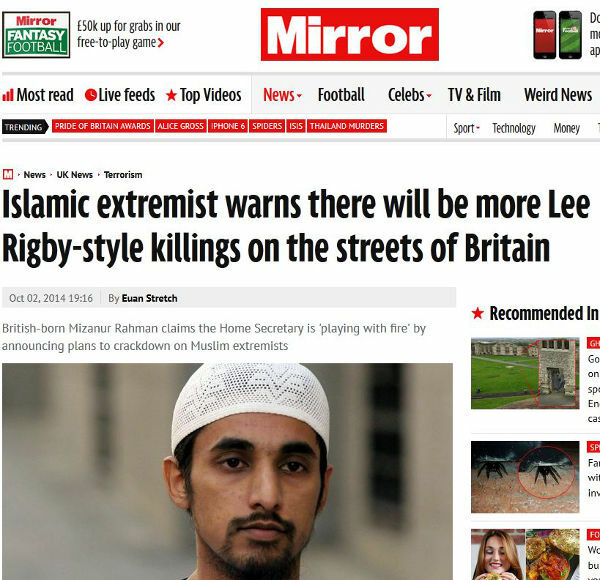 The British press is now reporting of threats by radical Islamists of similar atrocities being committed in Great Britain against the public as the government looks to clamp down on extremists.